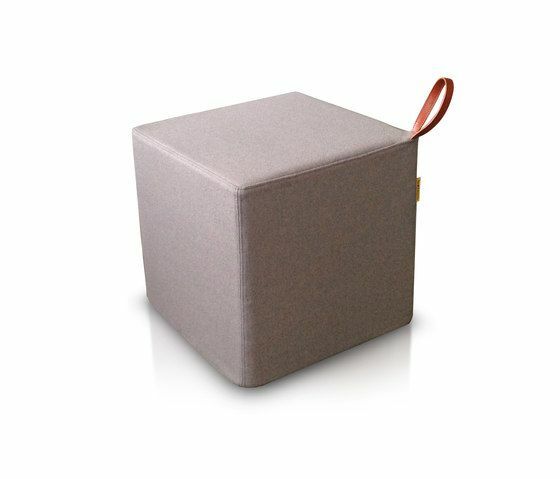 Puffen or 'the pouf' translated from Norwegian is a simple and flexible piece of furniture. It can be used as an extra seat or side table and taken with you to any room in the house or office. It's made of a firm lightweight foam and covered with a wool fabric. The handle, reminiscent of a purse strap, is made of leather. The puff is designed and made in Norway. The standard fabric is a wool blend from Gudbrandstalens, a Norwegian company. The fabric can also be customised.